1ST RUN EDITION OF 60. 2ND RUN EDITION OF 40. DOUBLE SIDED RINGER TEE MADNESS FOR ALL YOU LIL UGLY MANE FREAKS OUT THERE. YOU THOUGHT THIS WAS OVER? THE SAGA NEVER ENDS. 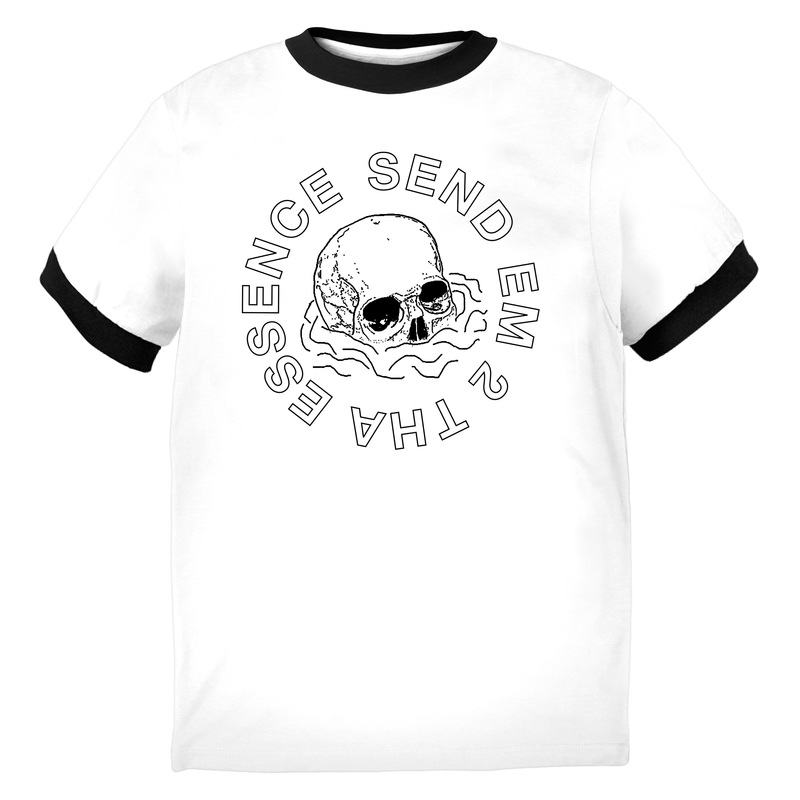 "SEND EM" CREST BIG ON FRONT AND THUNDER ZONE LOGO ON THE BACK. TZ036 CATALOG NUMBER PRINTED ON INSIDE.